Before Zimpl will work there are a few steps you need to follow. 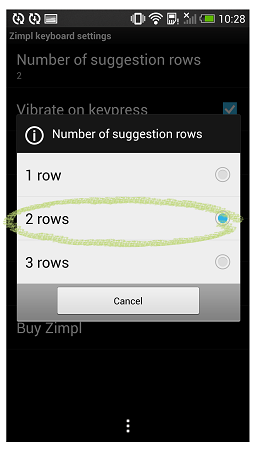 After installing Zimpl you should press Open to enter our setup. First you will have to accept our User License Agreement. Simply tick the checkbox and then click Approve. The second thing you will have to do is to Activate Zimpl. When doing this you will end up in your phone settings, so it may look different depending on which phone* you are using. 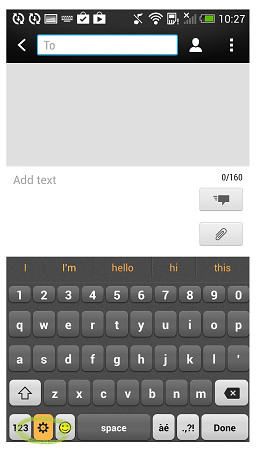 Find the Zimpl keyboard and activate it. IMPORTANT! 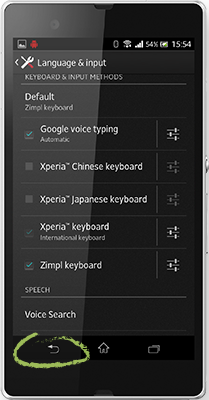 - After activating the Zimpl keyboard you need to press the Back button in order to go back to the setup. 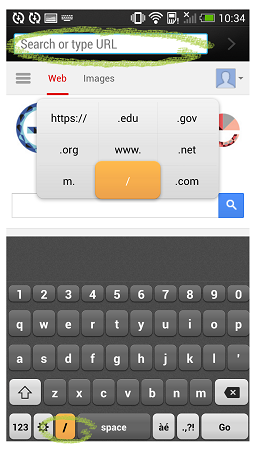 The position of the back button can also vary depending on which phone you are using. But it is most often placed at the bottom left on your phone. 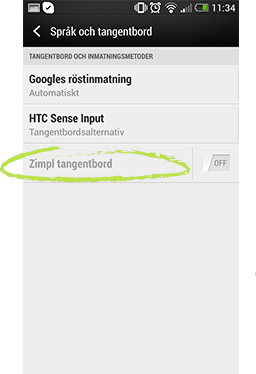 If you accidentaly press home during this part of the setup you can simply go back to the Zimpl setup by clicking the Zimpl App icon on your Home. 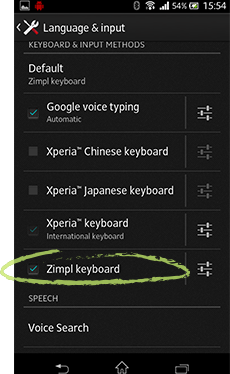 After activating your Zimpl keyboard and pressing back you will have to set Zimpl keyboard as your default. And after that your setup is complete! How do I upgrade to the latest version of Zimpl? If you have downloaded the app from any open markets you will be notified when we release a new version of Zimpl. Where can I download Zimpl? 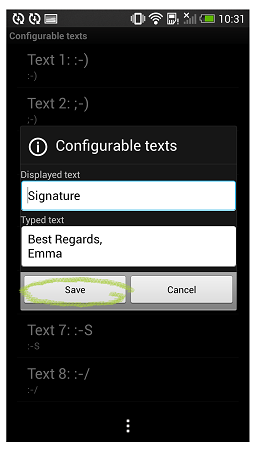 Can I use Zimpl on all my Android devices? Yes, when you buy Zimpl, the license is for your Google account in the case of purchases on the Google Play Store. This means you can install the app at no additional cost on any Android handset that has your Google Account as its primary account. We refer to the different markets specific user agreements. Will Zimpl work on my tablet? Yes, you can use it on any Android device but it is optimised for mobile phones. I have a new Android device, how do I transfer Zimpl to the new device without having to pay for it again? If you are using the same account on the new device where you downloaded Zimpl to then it is easy to download on your new phone. How do I delete mistyped words from the pop up grid or the prediction bar? Just start to type the unwanted word and when it shows up in the prediction bar just long-press it and then press delete. This removes it from the pop up grid as well. How do I delete fast with Zimpl? Hold down the delete button and the pop up grid will show up. From this you can choose to delete either a symbol, the last word, the last sentence or everything. You can also bind together the last two words from this menu i.e. How ever - bind - However. How come the the first character words doesn't change? 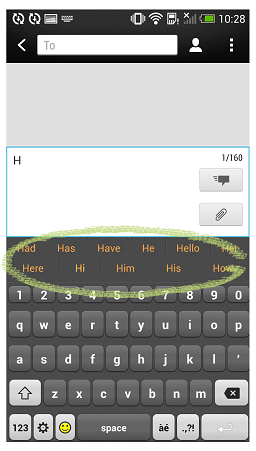 Is there an easy way to type a question mark, exclamation mark or a comma? 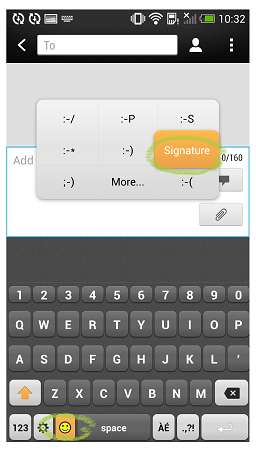 With our gesture based Quick Actions you can simply flick your finger to the right on the symbol key to type a question mark, up for a exclamation mark and left for a comma. Tap "Number of suggestion rows"